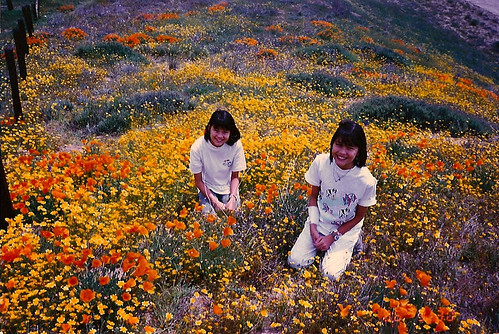 Anabel Mariko Stenzel (“Ana”) and Isabel Yuriko Stenzel Byrnes (“Isa” – pronounced “ee-sah”) are identical twins who were born in Los Angeles in 1972 to Japanese and German immigrant parents. At three days old, Ana and Isa were diagnosed with Cystic Fibrosis (CF), a fatal genetic disease that impacts the lungs and pancreas; their doctor told their parents they would be lucky to live to reach 10 years of age. For decades, Ana and Isa struggled to maintain their health with rigorous daily respiratory and digestive treatments. Working together, they survived and thrived into adulthood, graduated from college and graduate school, started careers as a genetic counselor (Ana) and social worker (Isa), and developed loving relationships. In their mid-20s, however, the twins’ health began to decline precipitously. Every breath was difficult. Many of the activities they loved, including hiking and traveling, tried the limits of their stamina. Their passion and will to live remained but CF was relentless. There is no cure for CF. But, in their darkest hour, when their ability to breathe was leaving them, Ana and Isa received the gift of new life and new breath in the form of double lung transplants in 2000 and 2004, respectively. Because of the generosity of their organ donors James and Xavier, and their donors’ families, Ana and Isa survived and thrived with their new lungs. Their post-transplant activities included running a half marathon, climbing a 10,000 foot mountain peak, swimming and running in the U.S. Transplant Games, traveling across three continents, and writing their memoir, “The Power of Two: A Twin Triumph Over Cystic Fibrosis,” which the University of Missouri Press published in late 2007. 1. Each human interaction is a cherished blessing. 2. Illness has great potential to teach awareness and appreciation of life. With profound sadness as well as tremendous gratitude for her two organ donors and donor families, the love of so many family, friends and fans, and the brightness she brought to all of our lives, we regret to share that Ana Stenzel passed away on September 22, 2013, following a hard fought battle with intestinal cancer. With her transplanted lungs, she was breathing easy until the end. We are so pleased that Ana’s legacy will live on in “The Power Of Two” and in all of our hearts. Click here to read Isa’s professional biography. Contact us to learn more about booking Isa for appearances, lectures, workshops and other events.